Hey everyone! Happy Valentine's Day! 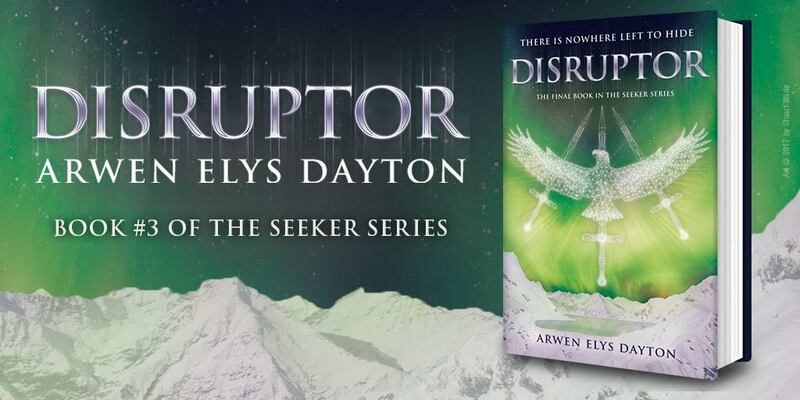 I am thrilled to be hosting a spot on the blog tour for DISRUPTOR by Arwen Elys Dayton! I have an interview with Arwen to share with you today! Haven't heard of DISRUPTOR? Check it out! Hi Arwen! First I want to say welcome back to Two Chicks on Books! DISRUPTOR was absolutely fantastic and I can’t wait for everyone to read it! And am so happy that you could stop by for a visit! Thank you so much for having me again, and I’m so glad you enjoyed Disruptor! 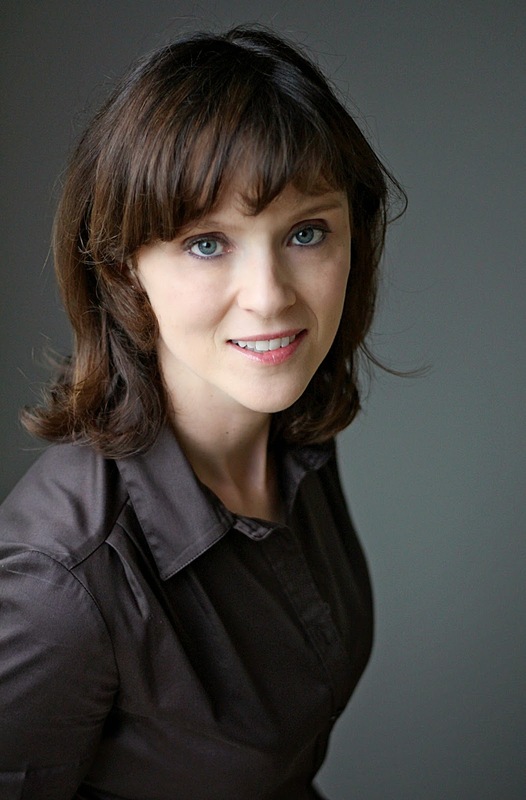 For the readers: can you give us a little recap of the SEEKER series and the characters? Quin has grown up in the remote Scotland Highlands, where she and two boys her age—one her oldest friend (Shinobu), and one her boyfriend (John)—have spent years preparing to inherit two ancient artifacts, which have been handed down in their families for hundreds of years. These artifacts allow them to do astonishing things, including appear and disappear from anywhere in the world. Quin expects to inherit this power for noble purposes, but her father intends to use her as an assassin, plain and simple. Is this the end of the SEEKER series? And if so how was it writing the finale? And what are you working on now? With Disruptor, the story of Quin, Shinobu, John and Maud (the Young Dread) is brought to a satisfactory close. Unfortunately, “satisfactory” for an author can mean frustrating, surprising, delightful, or any of a lot more adjectives. I’m not promising that everything is rainbows and unicorns at the finish. Yet we definitely get to see where Quin and the others have ended up, for better or for worse, and it happens in a rather eventful way. There are many other potential stories set in the world of SEEKER, but Disruptor finishes up this particular story. I’m always jotting down the personality quirks of my friends and acquaintances (and my own, if I’m objective enough to spot them), so pieces of people I know are in these characters. Once you start writing a character inside the world of a story, though, he or she runs off ahead and becomes a new person, regardless of your original intention. Maud, the Young Dread, was my favorite to write from the very beginning of the series. I love her sense of honor and the way she moves through time—very fast or very slow, depending on the situation. Over the course of three books, we get to watch Maud change into something more human than she was at the start. I’ve loved every step of this. My least favorite character to write is a woman called Maggie, who is John’s grandmother. She has a small, rather innocuous, part in the first book, but even then I was gearing up for her much larger role in Disruptor. As you will see, she is a piece of work. 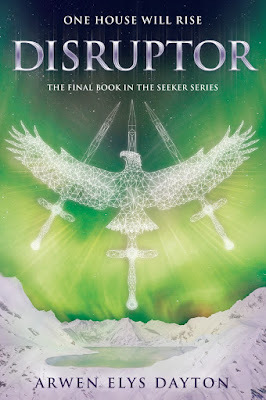 What is your favorite passage/scene in DISRUPTOR? I have a particular fondness for the character Nott, a twelve-year-old boy who’s been raised by the Middle Dread to be a ruthless fighter. Only Nott is still a hapless and amusing twelve-year-old underneath the Middle Dread’s training. He’s also very dirty. Near the beginning of Disruptor there is a chapter in which Nott has been ordered to take a bath, which is a life-changing event for him. This particular scene makes me smile every time I read it. Most of my research was about locations, because this series takes us to quite a few far-flung places, including, most prominently, Hong Kong and the Scottish Highlands. There are also important pieces of the story that occur beneath Mont St. Michel in France, in Iceland, and in a variety of other places. I’ve been to a lot of these locations, but not all, so Internet image searches were helpful. Is it weird to say Kvothe from The Name of the Wind? I don’t think I’m intentionally choosing YA as a genre; it’s just that I am completely fascinated with the teen years. There’s so much raw energy, embarrassment, love, lust, hope and despair in a typical week of teen life, that it’s hard to choose any other age to write about. In the Seeker series, I took great pleasure in pairing teenage characters with the frightening stakes of the life they are asked to lead. Quin has all the stresses of being a teenager PLUS the challenges of the world she’s living in. Honestly, I couldn’t get enough of that. Folding Beijing, which won a Hugo. Near future sci-fi. I really like Facebook, because there is so much personal interaction with friends and fellow writers and readers. Oh, both, absolutely. If given my way, I would snack constantly. Bad Arwen! I’ve outgrown most of my phobias somehow, though I am still a bit scared of ocean riptides. But that’s only logical, isn’t it? Still listening to The 1975’s “Paris” a lot. Thanks so much Arwen for answering my questions! I can’t wait for everyone to read DISRUPTOR! Thank you again for having me back! Make sure to grab all the books in the series!